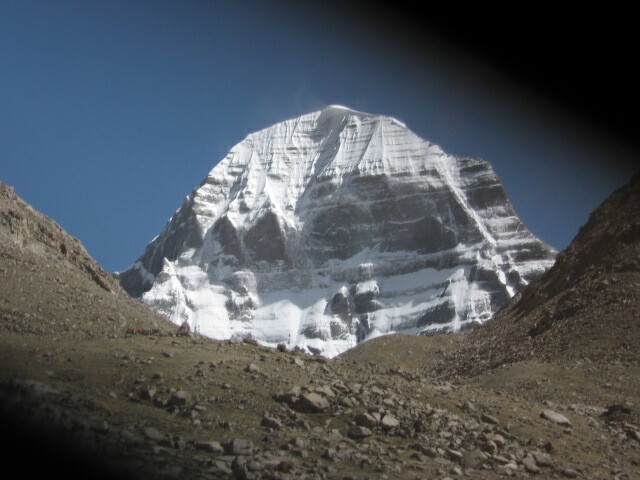 A trip to Mount Kailash has always been regarded as a pilgrimage although its a quite adventurous one. Whether you drive for seven days or walk for six days, it is still not possible to make a quick, easy visit to Mount Kailash or Manasarovar but once you are there, you will realize that its worth doing it. The tour is designed to provide some insight into Tibet and its way of life and culture with visits to some of Tibet's less well known Monasteries. The trek also provides the opportunity to partake in the Holy pilgrimage around Mount Kailash. Day 03: Nyalam / Saga (4600 m.) camp. Day 04: Saga / Paryang (4550 m.) camp. Day 05: Paryang / Chiu Gomba (4550 m.) camp. Day 07: Gosul Gomba / Darchen (4520 m.) camp. Day 09: Dera Phuk Gomba / Zutul Phuk Gomba (4760 m.) camp. Day 10: Zutul Phuk Gomba / Horaa (4500 m.) camp. Day 11: Horaa / Paryang camp. Day 12: Paryang / Saga camp. Day 13: Saga / Nyalam. Overnight Guest house. Day 14: Nyalam / Zhang-Mu / Kathmandu.